The rejection of a controversial Carrollton coffeeshop, the approval of alcohol sales at a new Walgreens on Claiborne, and other land-use matters on Oak Street, in Milan and in the Garden District were given final decisions this week by the New Orleans City Council. Closing Konbini | A coffee shop/corner store on at 2101 South Carrollton that briefly opened for business without the proper license or zoning was sent back to the drawing board by a sympathetic but ultimately unyielding Councilwoman Susan Guidry during Thursday’s meeting. The building is zoned for residential use but had been an office for years, until it sat vacant long enough to lose its temporary commercial use. Its proprietors said they gathered 500 signatures from the neighborhood in support of their idea, but the more intense commercial use and spot zoning that the project represented were overwhelmingly opposed by neighborhood organizations in the area. 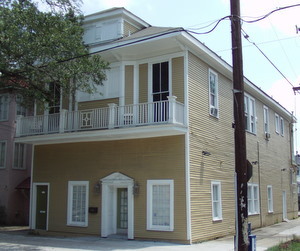 Guidry suggested the owners work with the neighborhood organizations on a change to the property’s use in master plan. Councilwoman Stacy Head, however, suggested they find a more amenable location. “There are many areas in city that really need coffee shops,” Head said. “O.C. Haley is an area that is under-served when it comes to regular retail, ice cream shops, coffee shops. Walgreens on Claiborne | A request to sell alcohol at a Walgreens under renovation was approved 5-0, subject to a good neighbor agreement between it and the neighborhood governing items such as how the alcohol is displayed and when it is sold. Head noted that the renovations to the building were being undertaken by request of Mayor Mitch Landrieu, and although the City Planning Commission had suggested requiring the developers to improve the building’s sign as well, Head said it should be done voluntarily. 2222 Peniston | A homeowner seeking to restore her Katrina-damaged house to three units for herself and her two sons was told to find a way to make its current zoning as a duplex work for her family. Alice Williams said she inherited her house from her parents, but had been struggling through the Road Home process to restore it since the floods. Though it is zoned for two units, it has been used for as a three-family unit for years, she said, and she wants to rent them to each of her sons. Echoing concerns of neighbors, however, Head said that the family’s contractor was well aware of the house’s zoning at least a year ago, and that Road Home would allow the change to two-family. There was significant opposition in the neighborhood to dividing older homes into three units, and should not be necessary in the Williams’ case, Head said. “There’s no need for people to have to have a three-plex in order to live together,” Head said. 1305 Eighth Street | A dilapidated, century-old camelback in the Garden District was approved for demolition so that the land can be restored to its original use as a garden for an older home next door. Though the house is “not beyond salvage,” Head said, neighbors overwhelmingly support the demolition because the house does not contribute to the streetscape, but the restoration of the gardens will. 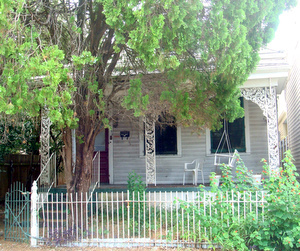 The historic elements of the house will be kept intact and made available for resale. 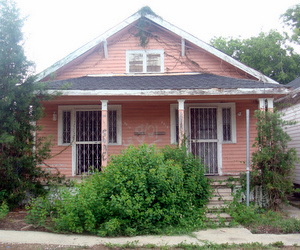 4210 Eagle | This home in the Dixon neighborhood near Hollygrove — which Guidry said continues to deteriorate and is used by vagrants — was approved for demolition (overrulling the Neighborhood Conservation District Committee). It is being considered for a FEMA demolition, Guidry said. Newman School | The request for “school use” designation on several buildings was deferred until Sept. 15 without explanation or comment. 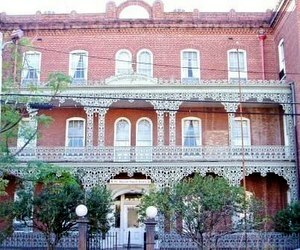 St. Vincent’s Guest House | The Lower Garden District hotel and hostel was given 90 days to replace the turbine caps that have been there since 1974 with historically accurate versions. I am so sick of the City Council gradually suburbanizing our city’s plan with this ridiculous application of the zoning. What possible harm comes from a coffee shop on Claibourne??? Guidry is probably the worst on the Council on this issue. The economy is struggling, the neighborhood would benefit from the foot traffic from the coffee shop (which reduces crime), its a very mixed-use area…. but no, all because an uber-NIMBY neighborhood association takes a crazy stand that does not represent the hood itself. This breaks my heart, and it happens almost every meeting. This city is really shooting ourselves in the foot, and the Council should be held accountable for this. At least they are finally giving some liquor approvals (such as Tru Burger). The trials they have needlessly put good people (like Ignatius and Cowbell) through are true madness. Um, they wanted to be in a residential section of Carrollton, not Claiborne. Guidry listens to her constitutents, and especially to the surrounding neighborhood most likely to be affected by zoning violations/variances. Thank you, Councilmember Guidry. Bang up job on the spelling, but…495 signatures in a three block radius FOR the shop versus 40 odd neighborhood association hacks against, many of whom don’t even live in the immediate area? Who does she listen to again? I would dearly love to have a coffee/tea shop near Carrollton and Claiborne. But I’m afraid rejecting Konbini was the right thing to do. In the public meetings for the recent Master Planning process no message was clearer than “spot zoning and special zoning favors need to stop”. Create a process, make it a process that can evolve, follow the process, and woe unto council people and city boards that fall back on the old ways. In the hours of meetings I attended this was the single point that won universal approval. I’m very much for it: I don’t want a school, bar or pilates studio on steroids moving in next door. It smarts a little not to get the cafe I was looking forward to walking to in the fall, but that’s the breaks, and maybe it doesn’t fit well next door to those folks. Stacey Head’s idea about the OC Haley cafe opportunity makes sense , but that’s a different problem. Can anything be done with the Konbini space, the Konbini investment, or the general problem of land uses that lose temporary permitting through vacancy but whose new zoning doesn’t work well for the space (Lorraine Apartments, anyone?). It would be great if there were a win-win here with a cup of coffee at the end of the rainbow. Thanks for the article, Uptown Messenger. In depth, on site , documented reporting, with useful photos for your Uptown friends.